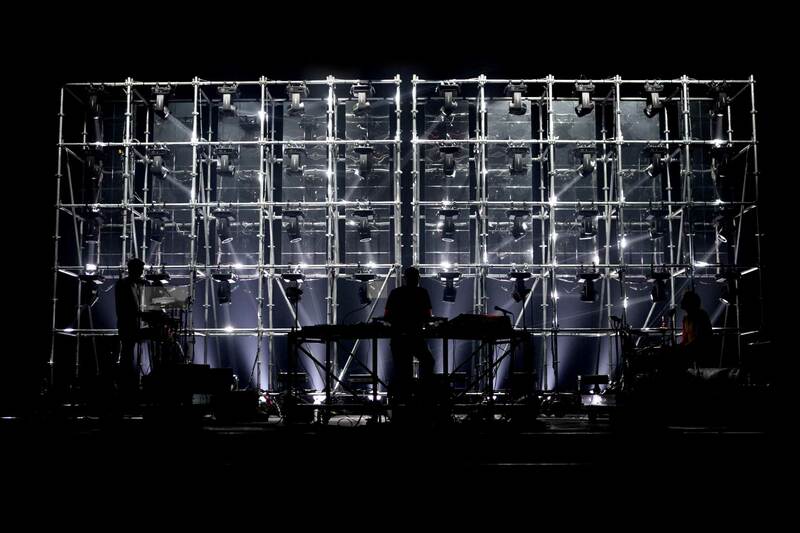 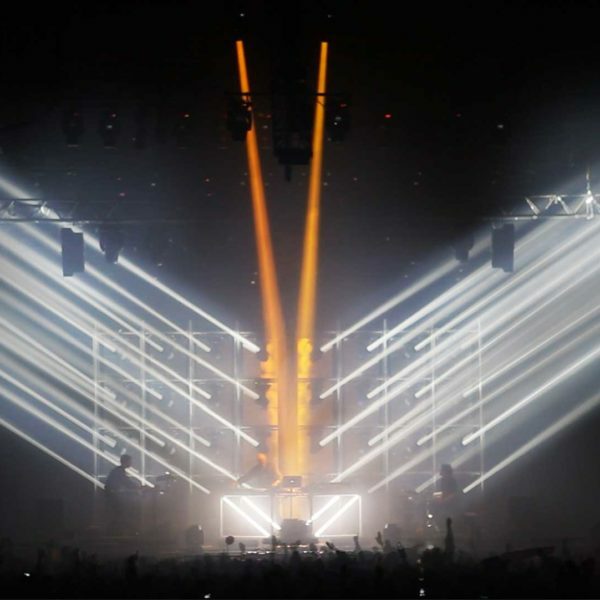 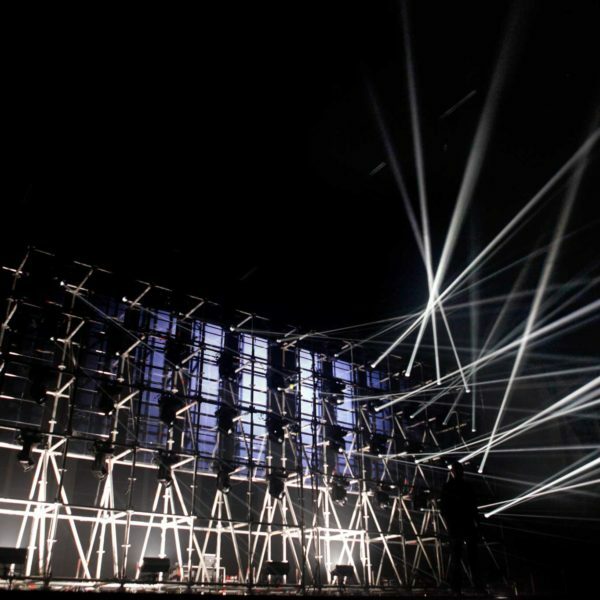 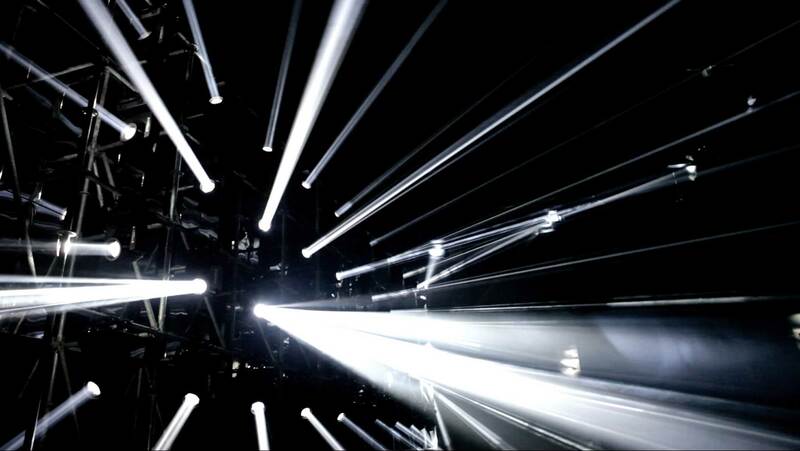 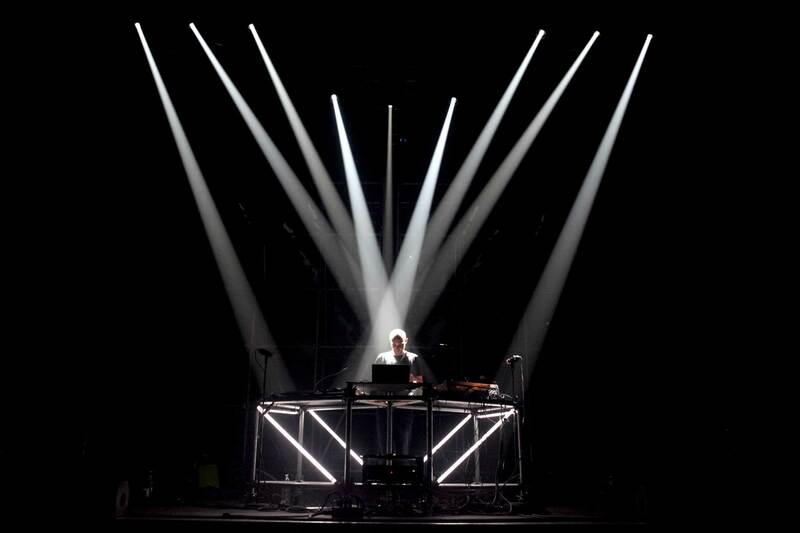 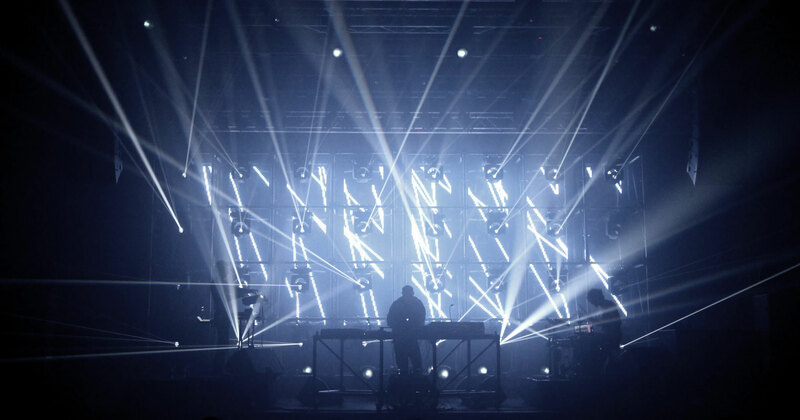 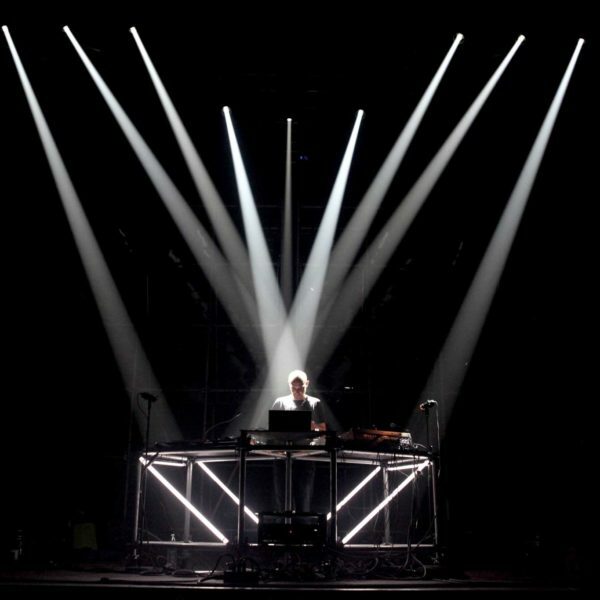 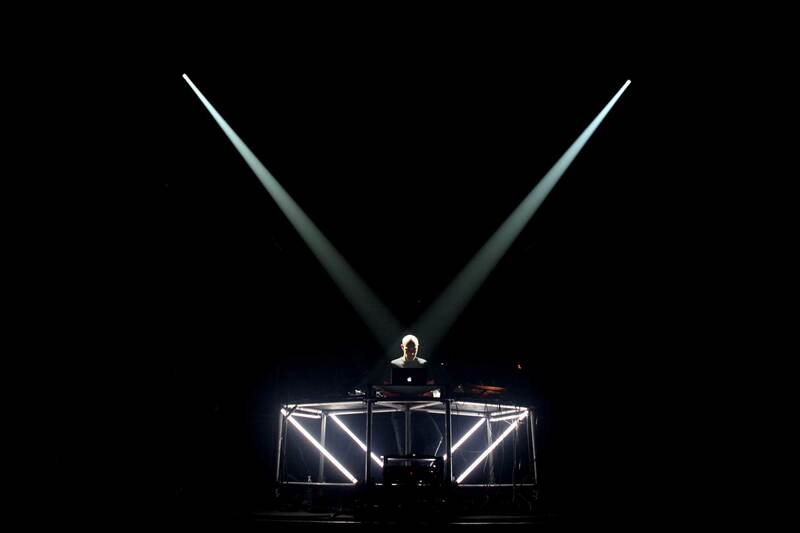 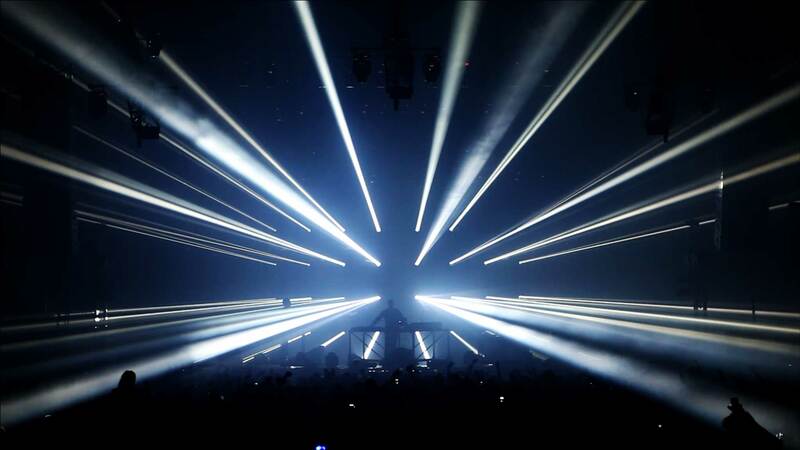 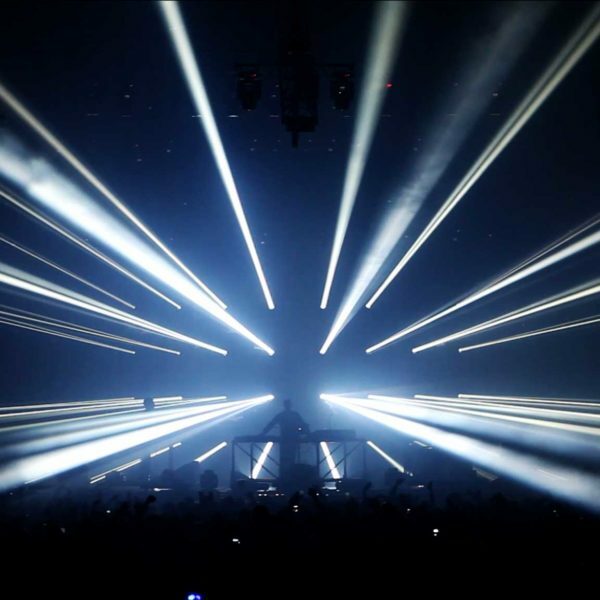 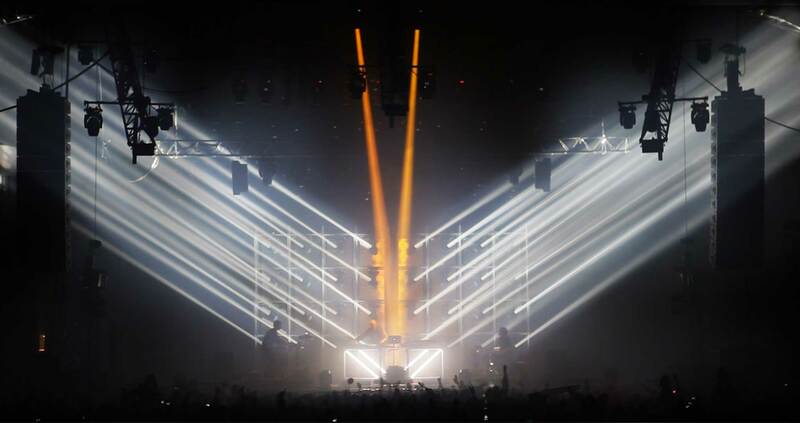 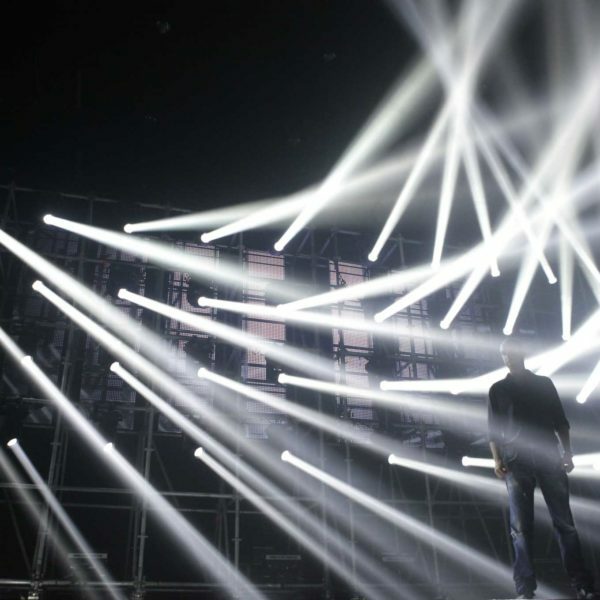 A Stage, Light and Visual design for VITALIC Live Tour. 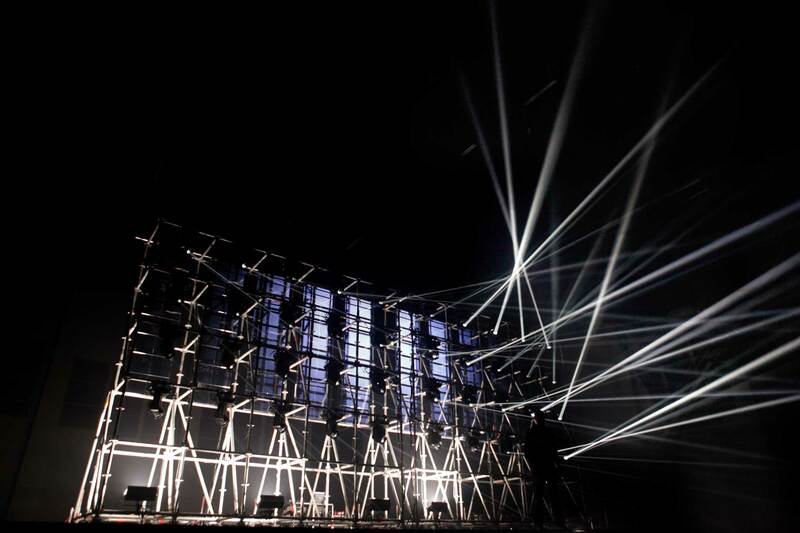 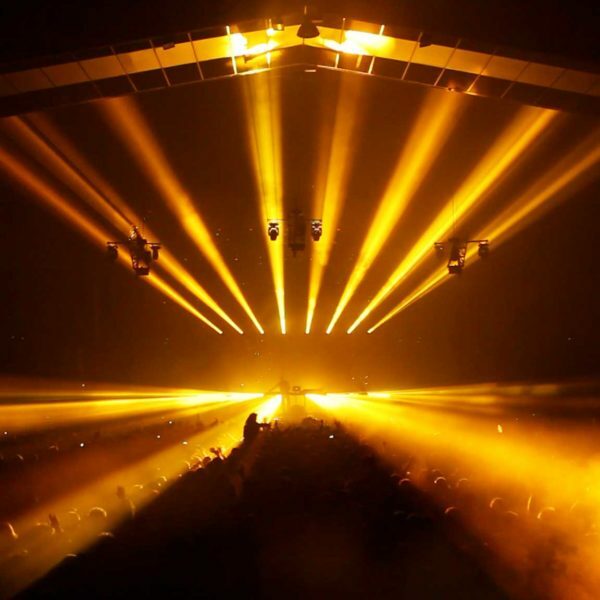 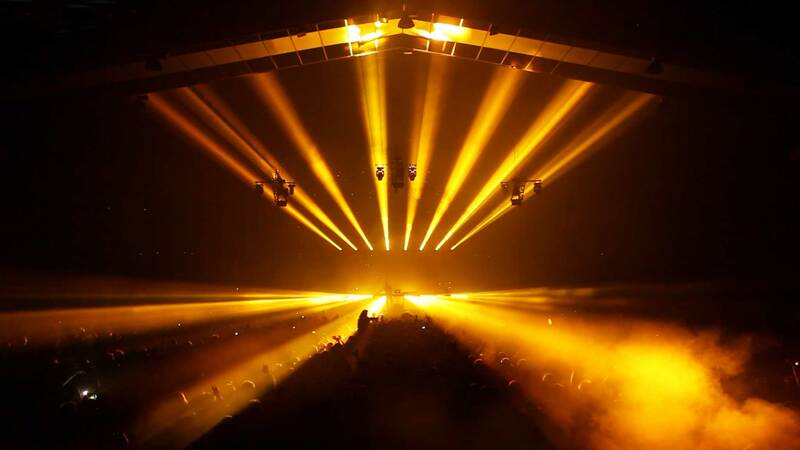 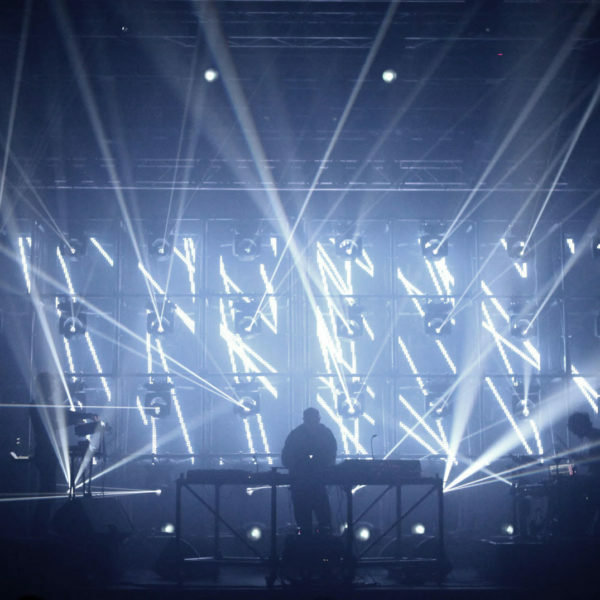 VTLZR is a volume light synthesizer, a massive light array that enhance Vitalic live show for the release of his new album: Rave Age. 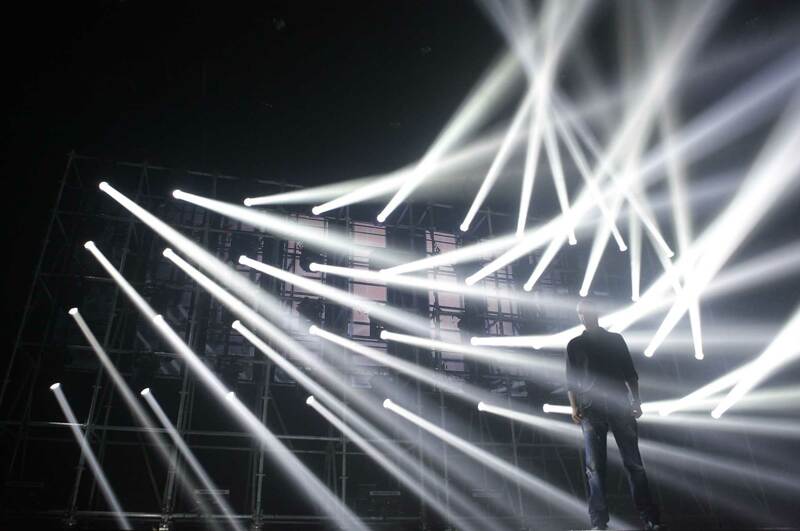 The show is driven in realtime by our in-house custom application, that intercepts musical midi messages and converts them to light movement. 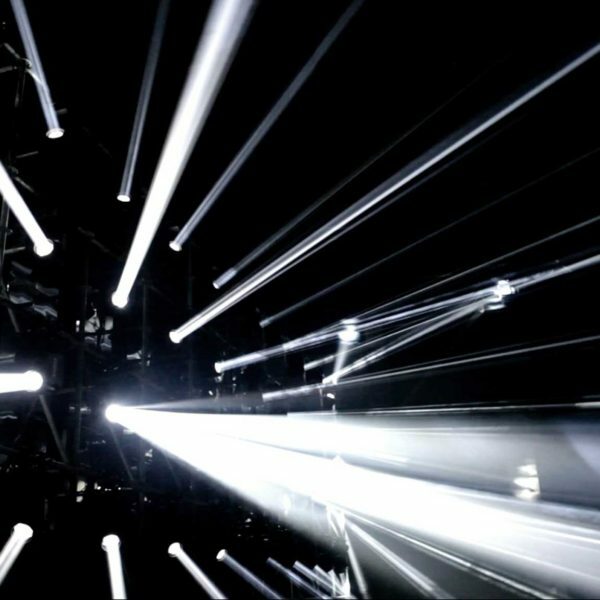 Each light is treated as a pixel, where RGB stands for Pan Tilt and Zoom movement of the lighting fixture. 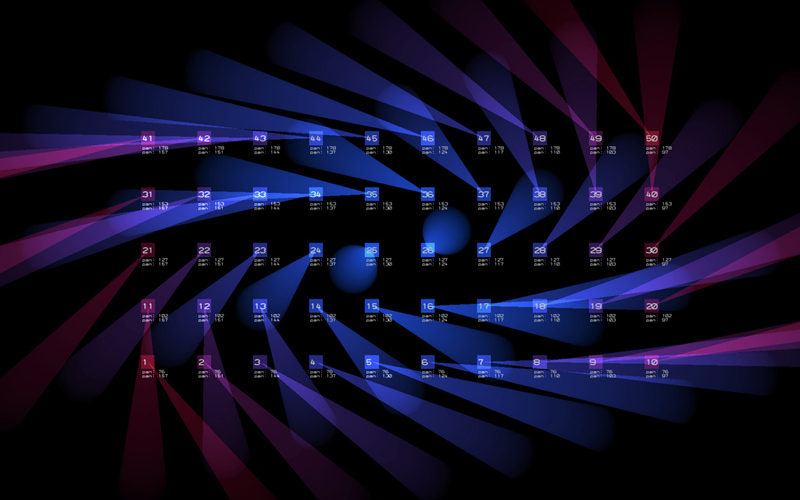 The overall installation integrates into the musician’s pipeline just as another instrument.